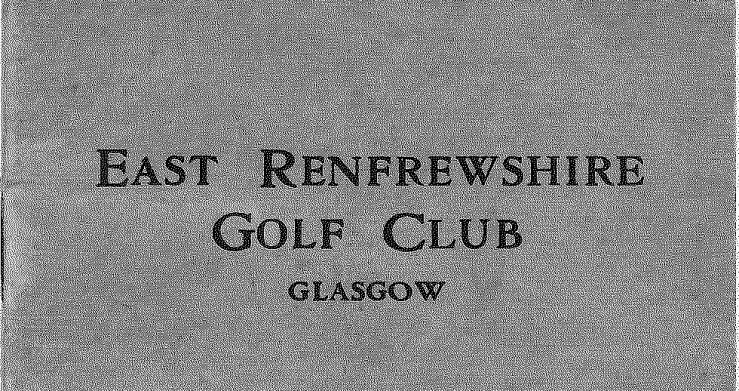 The East Renfrewshire Golf Club was founded on the 18th January 1922 with the James Braid designed course, opened for play on 12th May 1923. Only minor course enhancements have been made over the years, a testament to the original course design, and the natural qualities the land offers to the golf course. It is one of the very best examples of Braids design philosophy of maximising the lie of the land and in his own words ‘giving the golfer as frequently as possible two alternative ways of playing the hole, ‘an easy one and a difficult one and there is a chance to gain a stroke when the latter is chosen’. 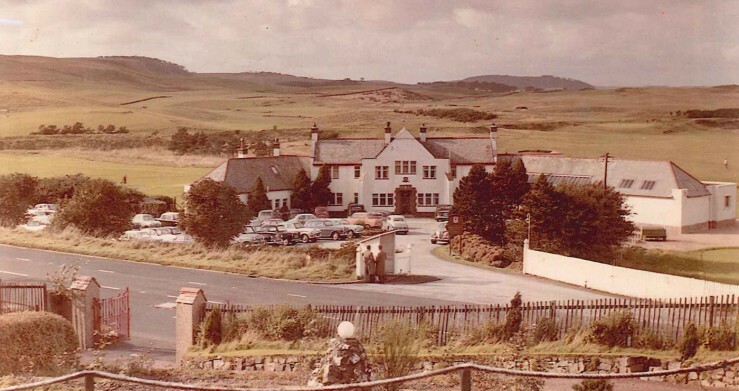 An early picture of the Clubhouse and Course beyond. Note the complete absence of trees, probably the most significant change to today’s tree lined course. 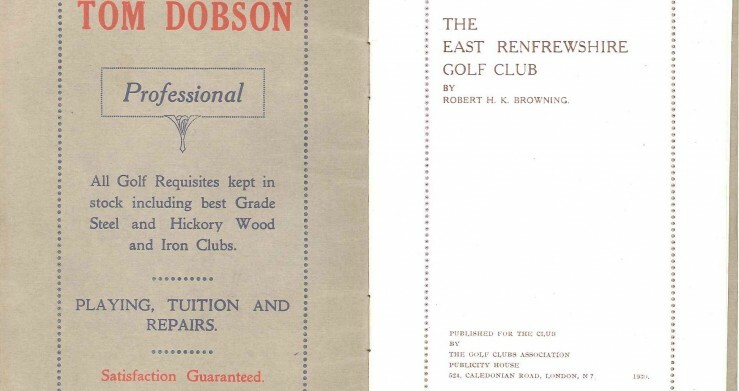 Robert H K Browning, English poet and golf historian, was commissioned to write a short book on the Club and Course in 1930, in which he wrote “Its winding glens and sweeping braes, its burns and its lake, lend beauty to the landscape as well as variety to the golf, and make East Renfrewshire a lowland Gleneagles.” It was the first of many occasions the comparison to Gleneagles was drawn, understandable as the land bears striking similarities to the design by the renowned course architect and five times Open winner James Braid. East Ren, as it is locally known, opened 10 years after James Braid completed the Kings and Queens Courses at Gleneagles and there are undoubted parallels in the topography, terrain and quality design that have remained to the present day. 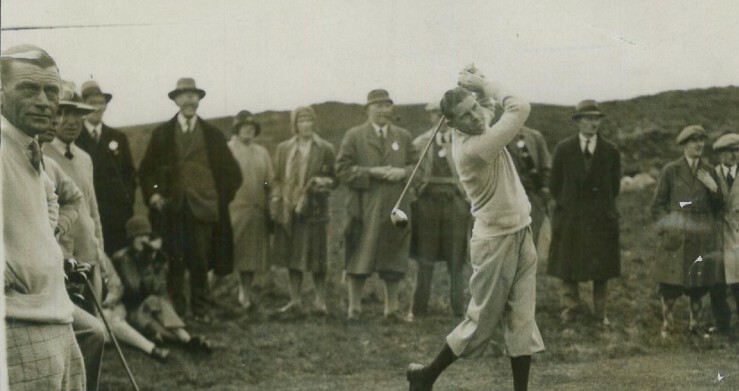 To recognise the course opening, an exhibition match took place on May 21, 1930 between two American Ryder Cup Players; Horton Smith and Leo Diegel, and Tom Dobson (Club Professional) a former Scottish Amateur Champion and the then reigning Scottish Amateur Champion Duncan McCulloch. The course was also played by Edward then Prince of Wales during the 1930’s, unfortunately there is little record of the event which was an impromptu visit without ceremony. The picture shows Horton Smith in action (a future winner of the first US Masters in 1934 and also 1936) on his way to shooting 68 and 71. Smith’s partner Diegel shot 67 and 65 (reigning US PGA Champion of 1928 and 1929). 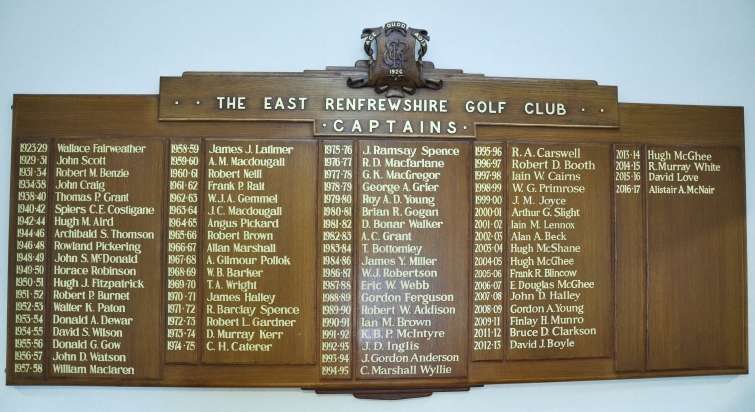 The East Renfrewshire Golf Club has hosted many regional and national amateur championships over the years. 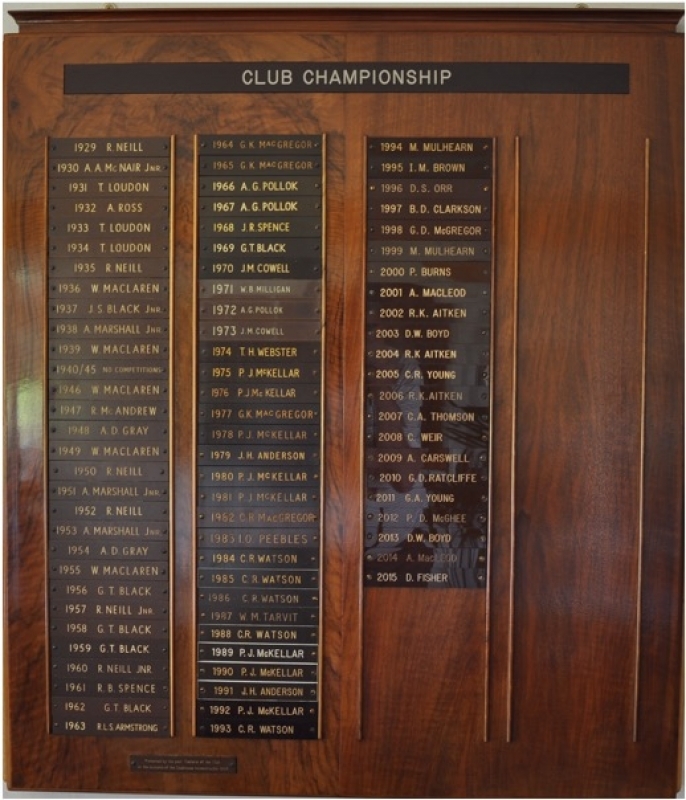 Recognised members of the Club have included 5 times Club Champion and 1997 British Amateur Champion, Craig Watson, and 8 times Club Champion and British Amateur Championship Finalist, Paul McKellar. Both Craig and Paul represented GB&I in the Walker Cup. The course par is 70 and the course record of 63 was set by David Orr in 1996. David went on to become Scottish Professional Champion in 2009.